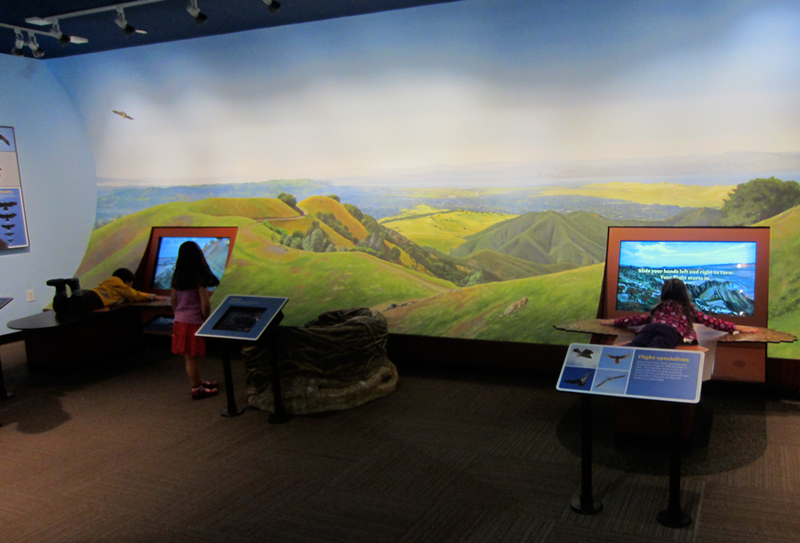 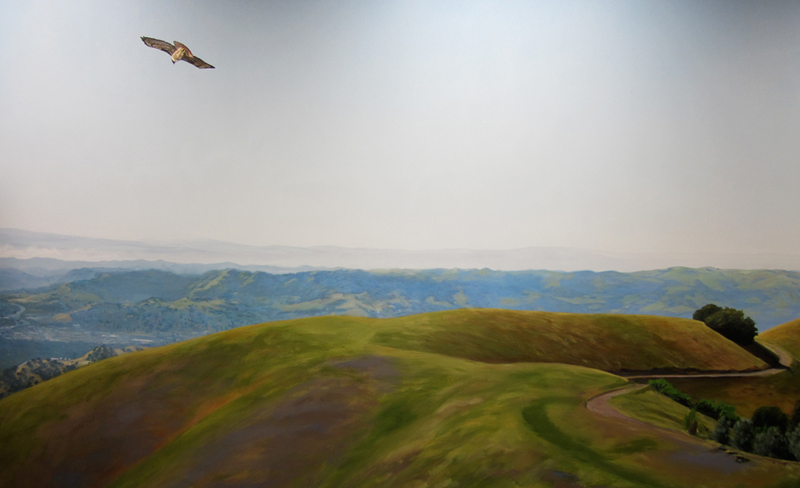 In this case, Alumni Exhibits provided the mural background for an interactive exhibit where visitors can see from a hawk’s point-of-view while flying over Mount Diablo (see the last slide in the slideshow below). 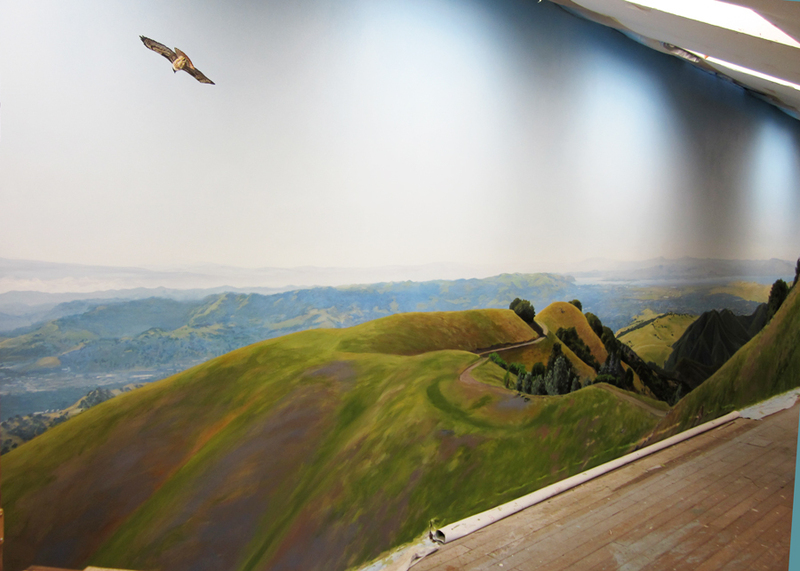 This mural was a collaborative effort with James Freed Design. 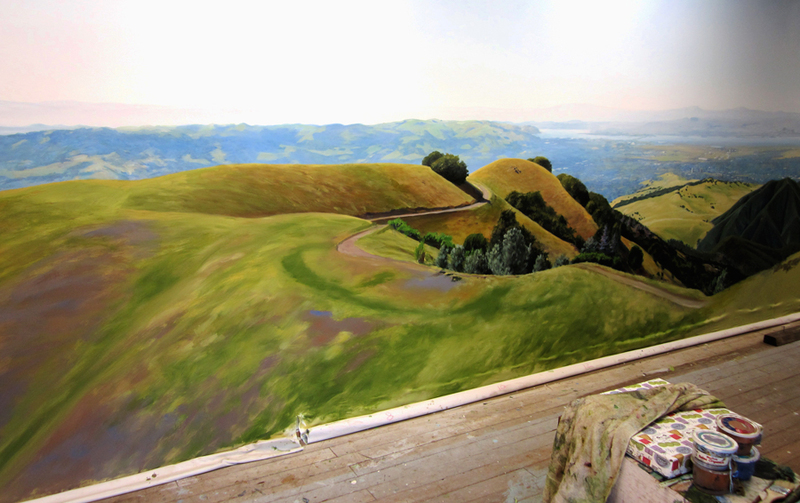 James Freed Design also competed the non-mural aspects of this installation.